The desktop FS-2020D ECOSYS® Printer is designed for the small to medium sized business, which are looking for a very reliable and cost effective printing solution. ECOSYS printers are both ecological and economical. With strong features, both standard and optional, the 37 page per minute FS-2020D, connects easily via USB to any PC. Upgrade with additional paper capacity and the optional network interface as your business needs grow. 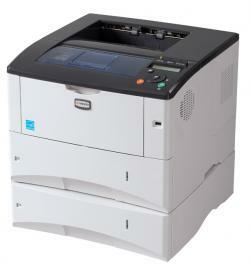 ECOSYS printers are both ecological and economical. And with Kyocera’s cartridge-less design and 300,000 page preventative maintenance intervals, you only have to replace toner containers, providing you with a substantially lower cost of operation versus typical laser printers that require more replacement parts.